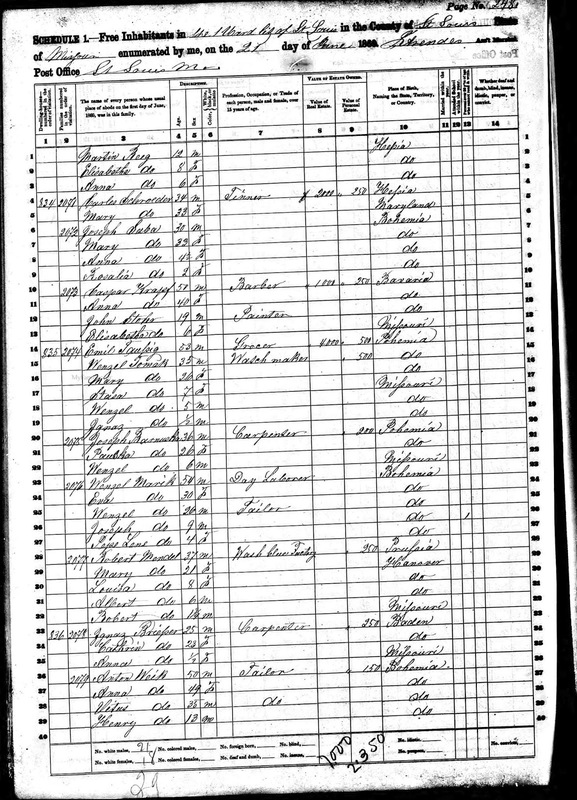 1870 United States Federal Census, St. Louis County, Missouri, population schedule, St. Louis Ward 3, page 108A, dwelling #316, family #752, Ignatz Graeser household, digital image, Ancestry.com (www.ancestry.com); citing National Archives Microfilm Publication M593, Roll 812. Ignatz Grieser and Katherine Gute were married in St. Louis in 1858, and had three living children by the time of the 1870 U.S. Census. It is probable that there were at least two children between Frank and Adolph that died in childhood before 1870. In the census, their surname was listed as Graeser. 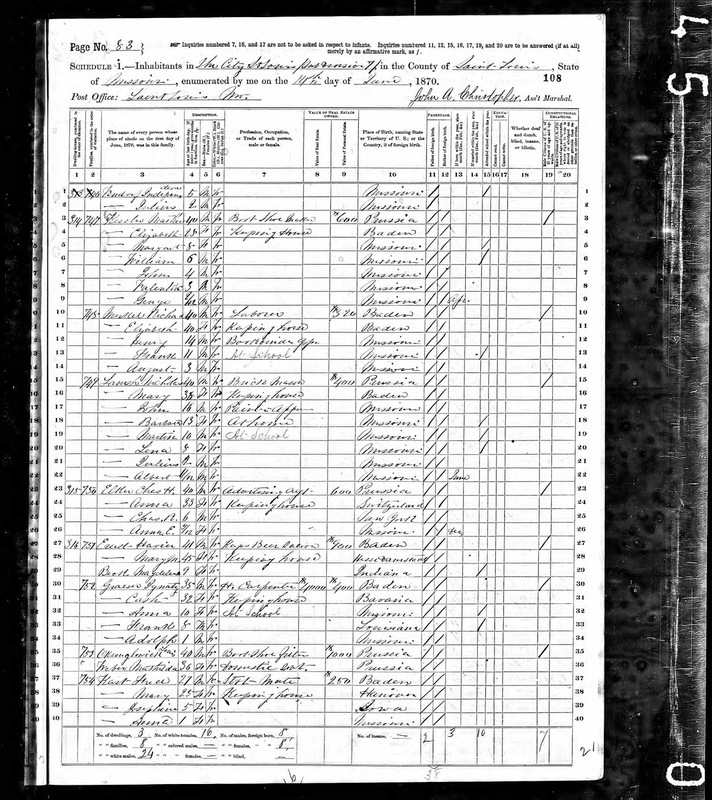 Ignatz and Katherine (Gute) Grieser are my wife's second great-grandparents, through their eldest child, Anna Grieser (1859-1936), who married John Nicholas Brocke in 1877.